Better water management is necessary for environmental and public health, as well as economic development. 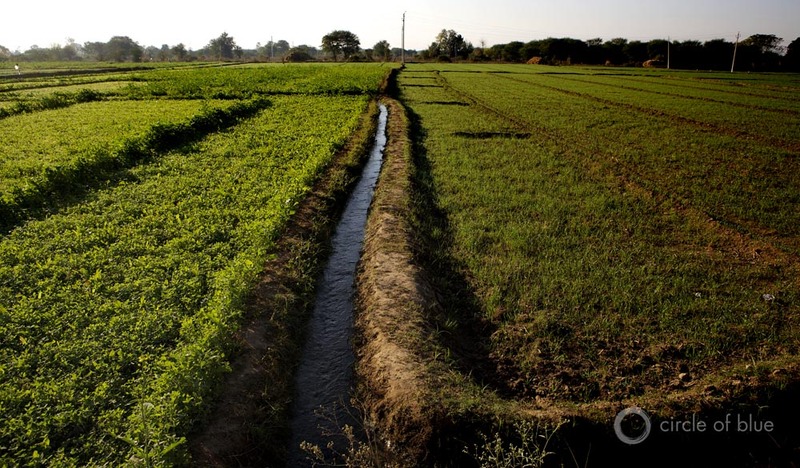 In Punjab, India, a farmer irrigates his crops by pumping groundwater and flooding channels along the field. Click image to enlarge. By 2050, India’s water demand is forecasted to increase by 66 percent to 78 percent, according to government figures cited in a comprehensive report from the United Nations Children’s Fund (UNICEF) on India’s water resources and water management system. The debate about India’s water supplies must be centered on water measurements that more accurately reflect social and environmental inequalities, the report argues. Rainfall, water resources and access to drinking water are high in some areas and low in others. Established water allocations and priorities need to be reconsidered, according to the report. Water demand is rising across all sectors. More access to water is fruitless if the quality is bad. UNICEF argues that the national agencies responsible for industrial water pollution have failed. Women, because of their traditional roles and duties, are an important part of a successful water management strategy. India needs better information about who controls and has access to water resources at the household level. The report cites the Community Managed Toilet scheme in Tamil Nadu as a case where a project led by women improved community sanitation. India’s engineer-laden water management corps should be revitalized with new skills that emphasize social, environmental, and economic principles, as well as how to forge collaborative agreements with water users. Yet the report overlooks at least one key area. Even though forecasts from India’s Ministry of Water Resources show that the energy sector will have the largest relative increase in water demand – going from less than one percent in 2010 to almost 9 percent by 2050 – the UNICEF report hardly mentions the water-energy connection. Just one paragraph in the 105-page report – a paragraph about groundwater pumping – makes the case that energy policy and water policy need to be aligned. One of the causes of the blackout last summer that affected at least 600 million people is thought to be electricity used to pump groundwater. In the next few months Circle of Blue will probe these issues as we begin publishing the first reports from Choke Point: India. Like similar projects Circle of Blue has undertaken in the United States and China, the India series will take a look at the water resources and social policies that handcuff its energy and food production.